A deep and thorough cleaning is essential for after building or renovating. The workers performing the renovation or the construction on your property care less about the mess they make while doing so. Their job is to build and repair and not to clean, this is partially why professional help is to be desired after such circumstances. Our office is located in London. We are available for all the residents who wouldn’t mind outsourcing the after building cleaning to us. We have plenty of experience in this line of work and we guarantee nothing but outstanding cleaning results, thanks to the precision and care of our diligent employees. While the building is taking place, and people are working on your property dirt, dust and all sorts of debris are likely to contaminate the whole area. You know very well that most of it is invisible to the naked way, but most assuredly it is there. 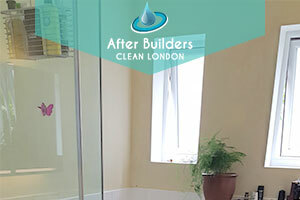 For years people of London have been enjoying the splendid effect of our after building cleaning service. We have won the people’s trust by providing only high quality results, they have witnessed our magic and how well we exterminate all the unwanted dirt and clutter. Our team of cleaning technicians are all trained professionals with years of experience. Better than anybody, they understand how dirt and dust find their way around your house. Thanks to the cleaning equipment we have supplied them with it is highly unlikely that you will be left disappointed with their end of cleaning results. 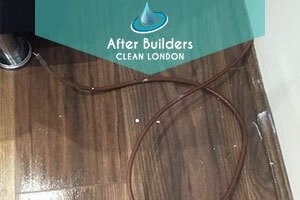 We have been closely monitoring the situation in London and the desperate need of more professional and precise after building cleaning services. Not only will we provide you with the best cleaning services available but we will also bring our own materials and cleanings solutions. You don’t have to worry about anything, while we are there, working on your property. All the unwanted dirt, dust and debris will be gone in a few hours and you will be able to enjoy the cleanliness in your home once again.